To really know what the Academy is about, it is necessary to experience it. It is a different kind of education that most of us know. So here, let us just give you a glimpse of the last year’s experience. Check also results from 2016 edition. 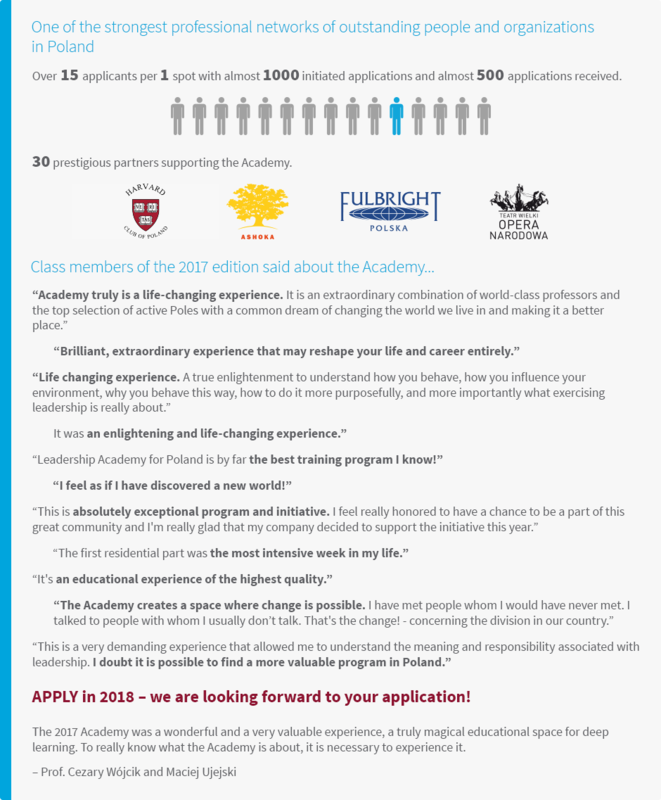 The Academy offers one of the best leadership programs in the world. We are really proud that we can deliver such a program to talented people in our country, together with educators from Harvard and other leading institutions. Thus we want to extend our gratitude to all the good-hearted people and organizations that have supported the Academy. We also want to thank our Fellows for their hard work, commitment, and hearts. 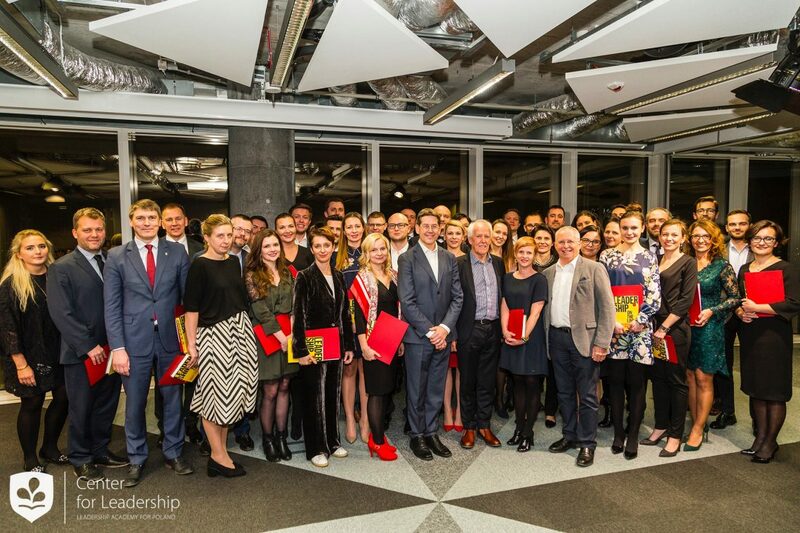 It’s been a remarkable group of outstanding Poles that will form one of the strongest professional networks and will make a difference in the future. Please, see the formal evaluation results below.